My thanks to Lake Union for a review copy via NetGalley. Thanks, as ever, for your candor, Margaret. I’ve been hearing that this one really has a strong sense of setting. But you’re not the only blogger I trust who’s mentioned the convenient plot points and a few other things. Hmmm…. I do like Rhys Bowen’s work, but still on the fence about this one. I have definitely heard about the food descriptions. Ha! It’s on my list for some future reading. Thanks for your thoughts on how it went for you. 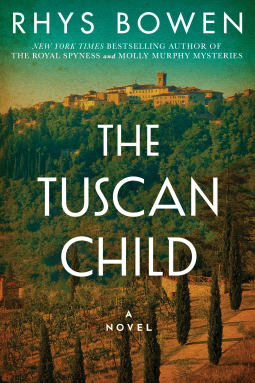 I was glad to find your opinion of The Tuscan Child. I’ve been debating whether to read it or not. I’m not sure i’m up for more romance than mystery and there is a very long wait for the book at the library. I think I’ll just wait. Thanks Margaret.